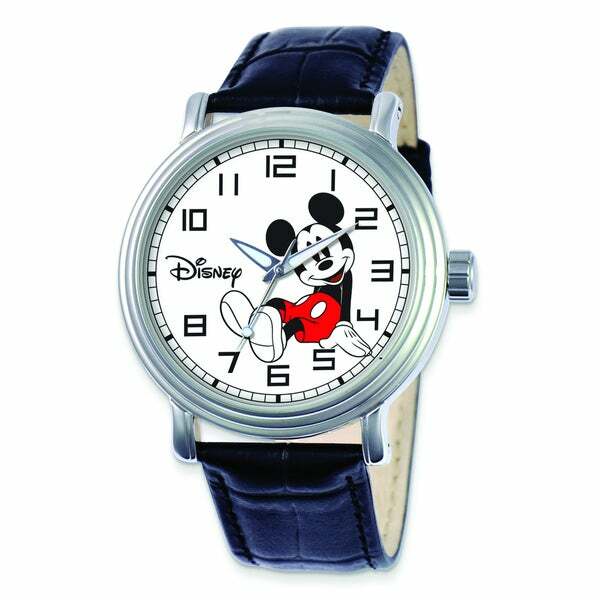 This Disney Mickey Mouse watch features a black leather strap with a buckle clasp. A 22mm wide and 12mm thick precise quartz movement keeps accurate time in this lovely timepiece. The face measures 44mm. I like the design of the watch but the face of it is way too big for my liking. I loved the watch and used it daily. But the band did not hold up and broke.